Fidget Spinners - What are they? Do they work? "Sanyi Anti-Anxiety 360 Spinner Helps Focusing Fidget Toys [3D Figit] Premium Quality EDC Focus Toy for Kids & Adults - Best Stress Reducer Relieves ADHD Anxiety and Boredom Ceramic Cube Bearing (Black)"
It was not entirely clear what this was when I ordered it and I certainly thought it was a lot bigger - its actually the size of 3/4 of a dollar bill. Getting the product I immediately took it out and searched for some kind of instructions sure it span! So youtube was helpful and I saw quite a few tricks. 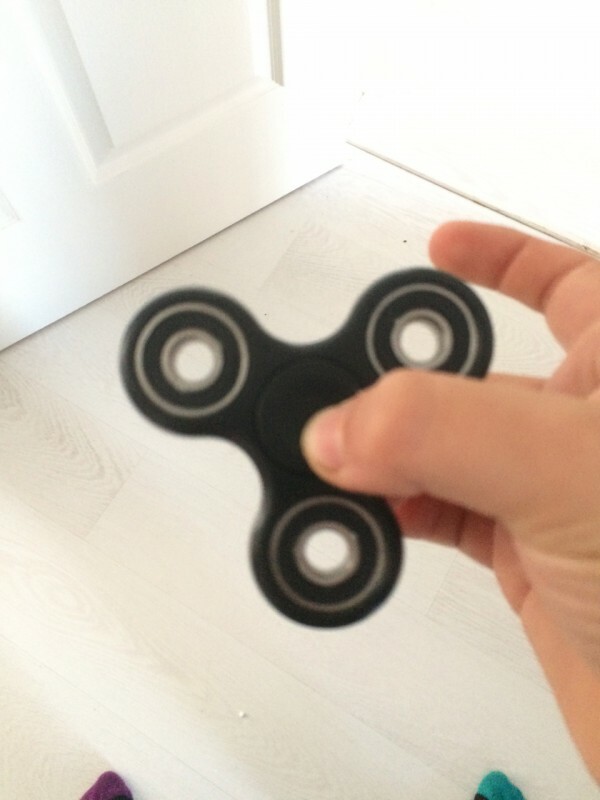 Interestingly when you spin it you don't move your hand when you move your hand and the spinner you feel the forces at play with physics. Check out what Ben thinks of his!